It is very well clear that cloud has won the battle prevailing between on-premise data centers and cloud. But is that cloud will be the same in the coming years? Or we will witness some developments in the cloud as well which will bring in more ease and comfort. The on-demand cloud is a norm these days. Perhaps it will not match with our expectations. Maybe it is something beyond we expect. After all, technology always surprises us and developments are far beyond our expectations. 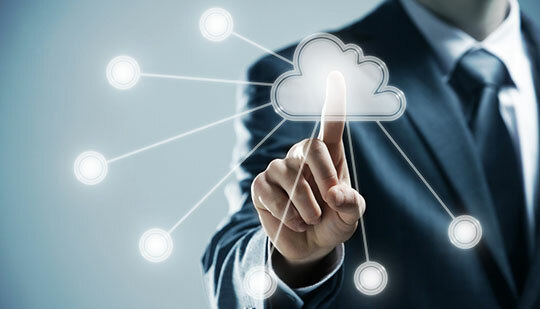 Who thought there would be something called as cloud freeing up with data storage and management and giving organizations the benefits to operating more effectively and efficiently. Cloud involved giving up technology deployed as your secret weapon more than just a loss of control over systems. However, the secret weapon was just a perception as the result was a mess of complex systems which disabled organizations to reap benefits of the same. 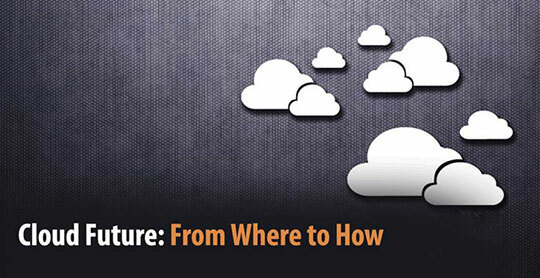 With the cloud, organizations can do innovations by taking benefits of less complex systems. However, the era of generic technology is yet to come. With the evolution of technology, everything is going to change steadily. Analytics engine, browser or even business needs will change. There is no point in tying up yourself with structured tools, formats, brands etc. which at a point you will have to change. Big data is becoming more and more like cloud-centric and cloud-driven data warehousing. It is getting confused with the minute advantage of on-demand processing of data along with the added benefit of preserving and accessing the data for various uses anytime on demand. This is not cloud, it’s the same IT of 1990’s. Customization is important but doesn’t give way too much importance to customization. This happened with many ERP’s. They concluded with undesirable ROI. They got messed with idle systems that didn’t turn up at any realistic cost. Try to have minimum deviations, variations as they end up giving negative results as expected. Customization is essential, agreed, but to a certain extent only. Cloud systems justify and are biased to customization and multi-tenancy which helps you to provide new methods in the systems you build. Contrary to customization is simplicity. Though simplicity gives much more than customization, it is not easy to implement. Cloud needs to scale and encourages multiple types of use cases, meaning cloud encourages simplicity with respect to design and deployment. With computing devices getting faster and faster, there is a want of prompt indulgence. While internet performance being variable, one should not forget that speed is not the important, performance is. Reasonable performance is important and is less tedious and exclusive compared to maximum performance. But today’s reasonable performance will be tomorrow’s slow. Reasonable performance can act as a yardstick for deciding the migration to the cloud. With the cloud, there is a loss of ownership as public clouds are not your systems. You as a user have limited access to space. Control is overvalued and large costs are associated with it. You don’t need control if you can achieve results from someone else’s determinations. Similar to customization, control is required but too much of control can prove to be disastrous. If you have a good cloud, it will make any data center good. Organizations have a weird notion of a private cloud that it’s my data center just under another name. Private cloud runs on premise or in a colocation as it is apt for private cloud to operate. It will be great if IT professionals can get rid of notions about on-premise v/s cloud computing. It is important to focus on underlying principles of cloud, then the cloud will shift from “where” to “how” which will be a significant shift. This article is written by Harry Thomas from Web Hosting UK. He is a technical writer; he likes to share his knowledge by means of blog here, where he writes about the latest emerging technologies, updates, cloud computing trends, SEO etc. Follow him: Twitter | Google+. Thank you so much for addressing this topic.